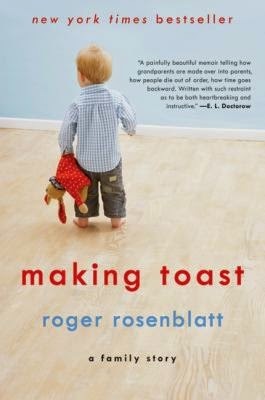 In contrast to the previous book that I reviewed, I kept Making Toast: A Family Story by Roger Rosenblatt on my to-read list for several years before I finally borrowed it as an audiobook. I had forgotten its topic, and several minutes into the book, I was mildly surprised to discover it is a book about grief. 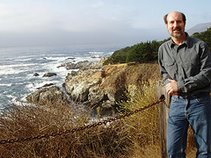 I have listened to numerous books by authors telling about their grief in recent years. I would say the books are preparing me for future events, but I can tell that each person responds differently to deaths in families. None are really ready for the deaths of parents, spouses, or children. Like Blue Nights by Joan Didion, Making Toast is about the death of a daughter. Unlike Didion, however, Rosenblatt's story focuses on the new roles that he and his wife assumed as live-in grandparents for their daughter's three children and on the lives of those children and the widowed husband. Drawing from his talents as a novelist, he shaped the story much like a play. I can imagine Rosenblatt as the character that sometimes steps out of the action to narrate and then steps right back into the scenes. Making Toast is a lighter variety of grief than that found in Levels of Life by Julian Barnes. That is not to say there are not tears and pain, but Rosenblatt and his family pull together to cope. His book will be of comfort to many people, but not all, as he is not religious. Like all the books on grief that I have read, it is relatively short and quick reading. 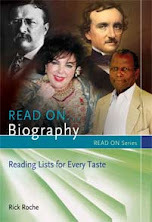 It can be found in many public libraries in print and audio downloads. Rosenblatt, Roger. Making Toast: A Family Story. Ecco, 2010. 166p. ISBN 9780061825934. Audiobook. Blackstone Audio, 2010. 3 compact discs. ISBN 9781441721365.